The 2019 FIA Formula One World Championship is an ongoing motor racing championship for Formula One cars which marks the 70th running of the Formula One World Championship. It is recognised by the governing body of international motorsport, the Fédération Internationale de l'Automobile (FIA), as the highest class of competition for open-wheel racing cars. Starting in March and ending in December, the championship is being contested over 21 Grands Prix. Drivers are competing for the title of World Drivers' Champion, and teams for the World Constructors' Champion. The 2019 championship is also scheduled to see the running of the 1000th World Championship race, in China. Red Bull Racing ended its twelve-year partnership with Renault and switched to Honda engines.In doing so, Red Bull Racing joined sister team Scuderia Toro Rosso in using Honda power after Scuderia Toro Rosso joined the Japanese manufacturer in 2018. Neither team will be recognised as Honda's official factory team under the terms of the agreement. Racing Point F1 Team completed their transition from the Racing Point Force India identity that they used after their purchase of the assets of Sahara Force India in August 2018. Sauber was renamed Alfa Romeo Racing in an extension of the sponsorship deal that began in 2018. The Sauber name will disappear entirely from the Formula One grid, but will still be used in the Formula 2 and Formula 3 support categories. Driver changes Robert Kubica returned to Formula One after suffering life-threatening injuries in a 2011 rallying accident The lead up to the 2019 championship saw several driver changes. Daniel Ricciardo moved to Renault after five years with Red Bull Racing, replacing Carlos Sainz Jr.. Ricciardo's drive at Red Bull Racing has been taken by Pierre Gasly, who was promoted from Scuderia Toro Rosso, the team with whom he made his first Formula One start in 2017.Daniil Kvyat rejoined Toro Rosso after last racing for the team in 2017. He was partnered with Formula 2 driver Alexander Albon, who replaced Brendon Hartley. Albon subsequently became only the second Thai driver to race in Formula One after Prince Bira. Sainz, who was on loan to Renault in 2018, did not have his deal with Red Bull renewed and subsequently moved to McLaren to replace two-time World Drivers' Champion Fernando Alonso, who had earlier announced that he would not compete in Formula One in 2019. 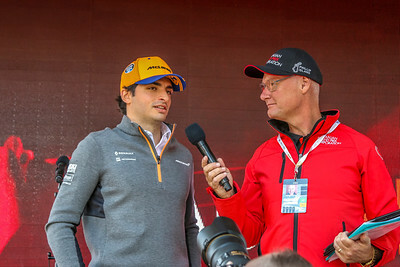 Sainz was partnered with 2017 European Formula 3 champion Lando Norris. Stoffel Vandoorne left McLaren after the 2018 season to race in Formula E with the Mercedes-affiliated HWA Team.Charles Leclerc left Sauber after one year with the team, joining Ferrari where he took the place of Kimi Räikkönen. Räikkönen returned to Sauber, now renamed Alfa Romeo, with whom he had started his career in 2001.He was partnered with Antonio Giovinazzi, who made two starts for the team when he replaced the injured Pascal Wehrlein in 2017. Marcus Ericsson will race in the IndyCar Series in 2019 with Schmidt Peterson Motorsports but will remain at Alfa Romeo as third driver and brand ambassador. Reigning Formula 2 champion George Russell joined Williams.Robert Kubica is scheduled to return to Formula 1, replacing Sergey Sirotkin at Williams. Kubica's return comes after an eight-year absence brought on by a near-fatal rally car crash in 2011 that left him with serious arm injuries. Esteban Ocon left Racing Point Force India and joined Mercedes as reserve driver. Ocon will share the role of simulator driver with Stoffel Vandoorne. Ocon has been replaced at Racing Point by Lance Stroll, who left Williams. 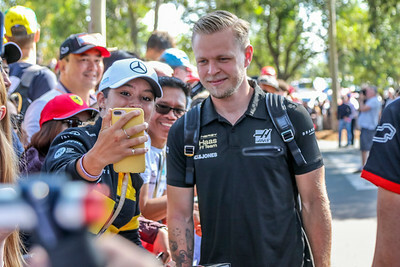 Born into a racing family in 1992, Kevin Magnussen was welcomed into another racing family in 2017 as the native of Roskilde, Denmark, and the son of former Formula One driver and current sportscar racer Jan Magnussen became a member of Haas F1 Team. Magnussen joined the American outfit for his third full season competing in the FIA Formula One World Championship. He promptly delivered, scoring five top-10 finishes with a best of seventh in the Azerbaijan Grand Prix. Having previously driven for established marques McLaren and Renault Sport, Magnussen is now a Haas F1 Team regular alongside teammate Romain Grosjean. 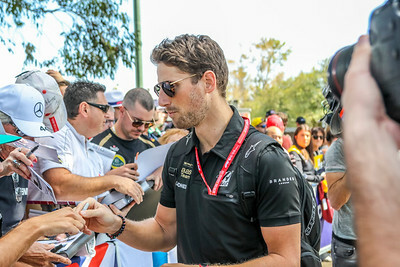 In seven full seasons of Formula One competition, Romain Grosjean has continued to showcase the speed and consistency that was a hallmark of his highly decorated junior career. 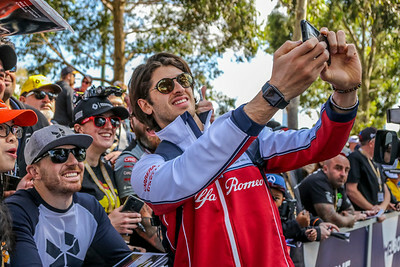 Collecting championships and numerous race wins as he ascended Europe’s ultra-competitive open-wheel racing ladder, Grosjean’s talents have continued to impress as the Frenchman joined Haas F1 Team in 2016. Kimi, nicknamed “Iceman”, won the 2007 FIA Formula One World Championship, in his first season at Scuderia Ferrari. After nine seasons racing in Formula One, he competed in the World Rally Championship in 2010 and 2011, then returning to Formula One from 2012. Besides his title, Räikkönen also finished second overall in 2003 and 2005 and third in 2008, 2012 and 2018. 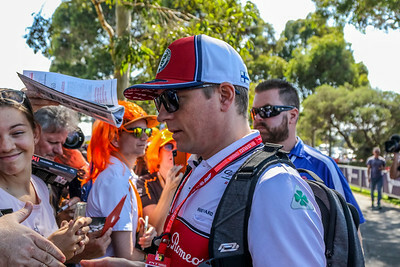 Prior to the 2019 season, Räikkönen has won 21 Grands Prix, making him the Finnish Formula One driver with the most race wins. He is the only driver to take a race win in the V10, V8 and the hybrid V6 engine eras. Antonio Giovinazzi , nicknamed “Giovi”, is a young and very talented Italian racing driver. He was the 2015 FIA Formula 3 European Championship runner-up and raced with Prema in the 2016 International GP2 Series, again finishing runner-up with five wins and eight overall podiums. It is not by chance that Scuderia Ferrari has picked him to be the third driver for its Formula One team for the 2017 season. Antonio drove his career to stardom trough the minor formulas, shining In the FIA Formula 3 European Championship and the International GP2 series. 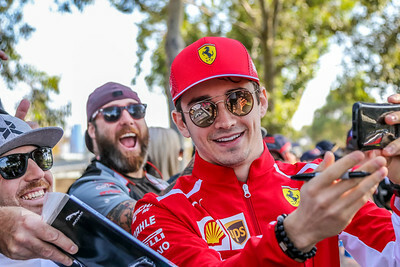 Leclerc made his Formula One debut in 2018 for Sauber, a team affiliated with Ferrari, for which he was part of its driver academy. With Sauber having finished last the year before, Leclerc led the charge to improve the finishing position in the constructors' championship to eighth, being the highest ranked of the two Sauber drivers.Leclerc agreed on a contract with Ferrari for the 2019 season where he is driving alongside Sebastian Vettel. Leclerc became the second youngest driver to qualify pole position in Formula One at the 2019 Bahrain Grand Prix. Sebastian Vettel is a German racing driver currently driving in Formula One for Scuderia Ferrari. He is a four-time Formula One World Champion, having won championships in 2010, 2011, 2012 and 2013 with Red Bull Racing. 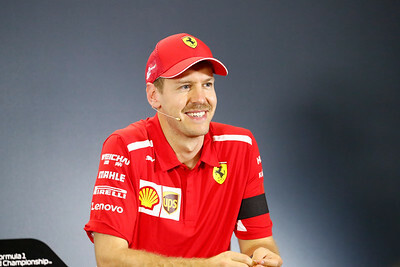 He is regarded by fellow and former drivers as one of the greatest Formula One drivers in history.Leaving Red Bull for the 2015 season, Vettel initially signed a three-year contract with Ferrari, which was later extended until the end of 2020. McLaren Racing Limited is a British motor racing team based at the McLaren Technology Centre, Woking, Surrey, England. McLaren is best known as a Formula One constructor but also competes in the Indianapolis 500 and has won the Canadian-American Challenge Cup (Can-Am). The team is the second oldest active Formula One team after Ferrari, where they compete as McLaren F1 Team. They are the second most successful team in Formula One history after Ferrari, having won 182 races, 12 Drivers' Championships and eight Constructors' Championships. The team is a wholly owned subsidiary of the McLaren Group. Founded in 1963 by New Zealander Bruce McLaren, the team won its first Grand Prix at the 1968 Belgian Grand Prix, but their greatest initial success was in Can-Am, which they dominated from 1967 to 1971. Further American triumph followed, with Indianapolis 500 wins in McLaren cars for Mark Donohue in 1972 and Johnny Rutherford in 1974 and 1976. After Bruce McLaren died in a testing accident in 1970, Teddy Mayer took over and led the team to their first Formula One Constructors' Championship in 1974, with Emerson Fittipaldi and James Hunt winning the Drivers' Championship in 1974 and 1976 respectively. The year 1974 also marked the start of a long-standing sponsorship by Phillip Morris' Marlboro cigarette brand. In 1981, McLaren merged with Ron Dennis' Project Four Racing; Dennis took over as team principal and shortly after organised a buyout of the original McLaren shareholders to take full control of the team. This began the team's most successful era: with Porsche and Honda engines, Niki Lauda, Alain Prost, and Ayrton Senna took between them seven Drivers' Championships and the team took six Constructors' Championships. The combination of Prost and Senna was particularly dominant—together they won all but one race in 1988—but later their rivalry soured and Prost left for Ferrari. Fellow English team Williams offered the most consistent challenge during this period, the two winning every constructors' title between 1984 and 1994. However, by the mid-1990s, Honda had withdrawn from Formula One, Senna had moved to Williams, and the team went three seasons without a win. With Mercedes-Benz engines, West sponsorship, and former Williams designer Adrian Newey, further championships came in 1998 and 1999 with driver Mika Häkkinen, and during the 2000s the team were consistent front-runners, driver Lewis Hamilton taking their latest title in 2008. Ron Dennis retired as McLaren team principal in 2009, handing over to long time McLaren employee Martin Whitmarsh. However, at the end of 2013, after the team's worst season since 2004, Whitmarsh was ousted. McLaren announced in 2013 that they would be using Honda engines from 2015 onwards, replacing Mercedes-Benz. 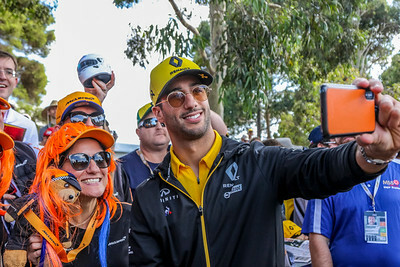 The team raced as McLaren-Honda for the first time since 1992 at the 2015 Australian Grand Prix. In September 2017, McLaren announced they had agreed on an engine supply with Renault from 2018 to 2020. Lando Norris is a British racing driver currently competing in Formula One, for McLaren. He won the MSA Formula championship in 2015, and the Toyota Racing Series, Eurocup Formula Renault 2.0 and Formula Renault 2.0 Northern European Cup in 2016. He also received the McLaren Autosport BRDC Award that year. He subsequently won the 2017 FIA Formula 3 European Championship. He was a member of the McLaren young driver programme. Carlos Sainz Vázquez de Castro known as Carlos Sainz Jr. is a Spanish racing driver currently racing in Formula One for McLaren. He is the son of former double World Rally Champion Carlos Sainz. In 2012 Sainz raced in the British and European Formula 3 championships for Carlin. He raced for DAMS in Formula Renault 3.5 in 2014 winning the championship before moving to F1 with Toro Rosso. In 2017 it was announced that for the 2018 season he will race for the Renault F1 team on a season long loan, whilst still contracted to Red Bull Racing. An early fulfilment of this arrangement was announced during the 2017 Japanese Grand Prix weekend; Sainz would take Jolyon Palmer's Renault seat beginning with the 2017 United States Grand Prix. Sainz will drive for McLaren starting in 2019, replacing fellow countryman Fernando Alonso. Mercedes-Benz, through its subsidiary Mercedes-Benz Grand Prix Limited, is currently involved in Formula One as a constructor under the name of Mercedes-AMG Petronas Motorsport. The team is based in Brackley, Northamptonshire, United Kingdom, using a German licence. Mercedes-Benz competed in the pre-war European Championship winning three titles and debuted in Formula One in 1954, running a team for two years. The team is also known by their nickname, the "Silver Arrows". After winning their first race at the 1954 French Grand Prix, driver Juan Manuel Fangio won another three Grands Prix to win the 1954 Drivers' Championship and repeated this success in 1955. Despite winning two Drivers' Championships, Mercedes-Benz withdrew from motor racing in response to the 1955 Le Mans disaster and did not return to Formula One until rejoining as an engine supplier in association with Ilmor, a British independent high-performance autosport engineering company later acquired by Mercedes, in 1994. In addition to its factory team, Mercedes currently supplies engines to Racing Point and Williams. The manufacturer has collected more than 160 wins as engine supplier and is ranked fourth in Formula One history. Six Constructors' and ten Drivers' Championships have been won with Mercedes-Benz engines. Mercedes has become one of the most successful teams in recent Formula One history, having achieved consecutive Drivers' and Constructors' Championships from 2014 to 2018. In 2014, Mercedes managed 11 one-two finishes beating McLaren's 1988 record of 10. The record was extended the following year with 12 one-two finishes. Mercedes also collected 16 victories in 2014 and 2015 apiece breaking McLaren (1988) and Ferrari's (2002, 2004) record of 15. In 2016, they extended this record with 19 wins. Racing Point F1 Team competing as SportPesa Racing Point F1 Team is the team that Racing Point UK has entered into the 2019 Formula One World Championship, using the constructor name of "Racing Point". The team, based in Silverstone, United Kingdom, competes under a British licence. 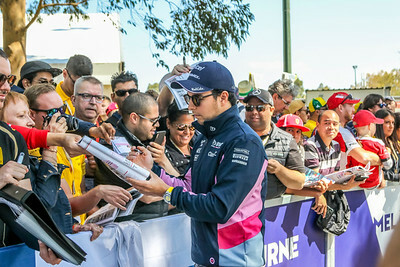 The team was renamed in February 2019 from Racing Point Force India F1 Team, which used the constructor name of Racing Point Force India for the 2018 season. The 2019 season also saw the team branded as "SportPesa Racing Point F1 Team", acknowledging lead sponsor SportPesa, a sports betting company from Kenya. The team’s car for the 2019 season, the Racing Point RP19, was announced in Toronto, Canada. 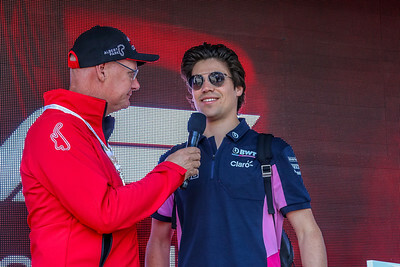 The team's drivers for the 2019 season are Sergio Pérez and Lance Stroll, with the team making its racing debut at the 2019 Australian Grand Prix. Sergio Pérez Mendoza also known as "Checo" Pérez, is a Mexican racing driver, currently driving in Formula One for Racing Point. Pérez was a member of the Ferrari Driver Academy until 2012. He took his first Formula One podium at the 2012 Malaysian Grand Prix with Sauber, a drive which won him plaudits and fuelled speculation of a move to Ferrari in the near future. However, Pérez later told reporters that he expected to stay with Sauber until at least the end of the 2012 season. Due to his young age and performance, he has been referred to as "The Mexican Wunderkind". Pérez joined McLaren for the 2013 season, but the car failed to deliver the team a single podium finish. Subsequently, for the 2014 season, the team decided to replace Pérez with Danish driver Kevin Magnussen very late into the season almost leaving Pérez without a seat.In December 2013, it was announced that Force India had signed Pérez in a €15 million deal. 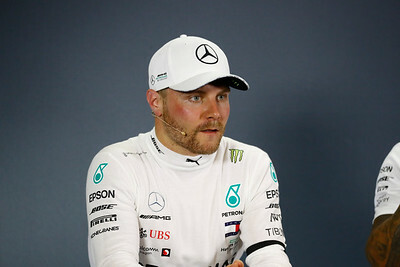 He remained with Force India after they went into administration in the latter half of 2018, and then their reformation as Racing Point F1 in 2019. Lance Stroll is a Canadian-Belgian racing driver currently driving in Formula One with Racing Point. He was Italian F4 champion in 2014, Toyota Racing Series champion in 2015, and 2016 FIA European Formula 3 champion. He was part of the Ferrari Driver Academy from 2010 to 2015. He achieved his first podium finish, a 3rd place, at the 2017 Azerbaijan Grand Prix, becoming the second-youngest driver to finish an F1 race on the podium and the youngest to do so during his rookie season. Red Bull Racing (also known as Red Bull or RBR and competing as Aston Martin Red Bull Racing) is a Formula One racing team, racing under an Austrian licence and based in the United Kingdom. The team raced under a British licence from 2005 to 2006 and has raced under an Austrian licence since 2007. It is one of two Formula One teams owned by beverage company Red Bull GmbH, the other being Scuderia Toro Rosso. The team has been managed by Christian Horner since its formation in 2005. The team used engines supplied by Renault between 2007 and 2018. During this partnership they won four successive Drivers' and Constructors' Championship titles from 2010 to 2013, becoming the first Austrian-licensed team to win the title. The team began using Honda engines in 2019. Max Emilian Verstappen is a Belgian-Dutch racing driver who competes under the Dutch flag in Formula One with Red Bull Racing. Aged 17 years, 166 days, he became the youngest driver to compete in Formula 1 at the 2015 Australian Grand Prix. He also holds eight other "firsts" in Formula One racing. After spending the entire 2015 season with Scuderia Toro Rosso, he started his 2016 campaign with the Italian team, before being promoted into Red Bull Racing mid-season as a replacement for Daniil Kvyat. He won the 2016 Spanish Grand Prix in his debut race for Red Bull Racing at the age of 18, becoming the youngest-ever winner of a Grand Prix and the first racing under the Dutch flag. He is the son of former Formula One driver Jos Verstappen. Pierre Gasly is a French racing driver, currently racing in Formula One for Red Bull Racing. He was the 2016 GP2 Series champion, and the runner-up in the 2014 Formula Renault 3.5 Series and the 2017 Super Formula Championship. He made his Formula One début at the 2017 Malaysian Grand Prix. 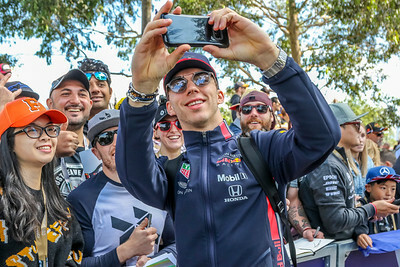 He began with Red Bull Racing in 2019. Scuderia Toro Rosso, commonly known as Toro Rosso or by its abbreviation STR and currently competing as Red Bull Toro Rosso Honda, is an Italian Formula One racing team. It is one of two Formula One teams owned by Austrian beverage company Red Bull, the other being Red Bull Racing. Toro Rosso functions as a junior team to Red Bull Racing, with the aim of developing the skills of promising drivers for the senior team. The team made its racing debut in the 2006 season, moving to complete independence from its sister team in 2010. The team was established after Paul Stoddart sold his remaining interest in the Minardi team at the end of 2005 to Red Bull's owner, Dietrich Mateschitz and Minardi was renamed Toro Rosso. Mateschitz subsequently struck a 50/50 joint-ownership deal with former Formula One driver Gerhard Berger before the start of the season. In late November 2008, Red Bull regained total ownership of Toro Rosso after buying back Berger's share of the team. From 2007 to 2013, Toro Rosso used Ferrari V8 engines, taking over the contract that their senior team broke from at the end of 2006 to switch engine builders to Renault. For 2014, Toro Rosso switched to Renault engines as well, but in 2016 returned to using Ferrari power. However, they switched back to Renault in 2017 (albeit under 'Toro Rosso' branding), then in 2018 to Honda. The team principal is Franz Tost, formerly of BMW's motor sport division. Vitantonio Liuzzi scored the team's first point in its first season at the 2006 United States Grand Prix. The team's first and only pole position, podium and victory were scored by Sebastian Vettel at the 2008 Italian Grand Prix. The team's set 2008 driver line-up was Sebastian Vettel, third driver for BMW Sauber in 2006 before switching to a race seat at Toro Rosso midway through the 2007 season, and Sébastien Bourdais, the four-time winner of the Champ Car World Series. For the 2009 season, Sébastien Buemi took Vettel's seat when he moved to the Red Bull team, while Bourdais was dropped after the German Grand Prix, following a series of poor performances that had only scored him two points. Jaime Alguersuari took over Bourdais' seat at the Hungarian Grand Prix, and kept the seat for the remaining part of the year. Both Alguersuari and Buemi raced for the team for all of the 2010 and 2011 seasons. It was announced on 14 December 2011, that Daniel Ricciardo and Jean-Éric Vergne would be the team's drivers for the 2012 season. At the 2013 Italian Grand Prix it was announced that Daniel Ricciardo had been chosen to succeed Mark Webber at Red Bull Racing. For 2014, Toro Rosso retained Jean-Éric Vergne and signed newcomer Daniil Kvyat. 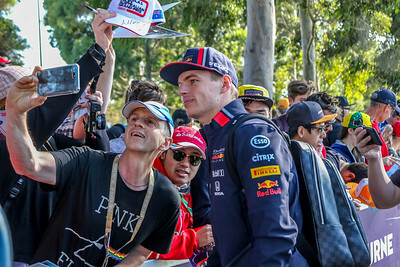 Kvyat spent one season with Toro Rosso before being promoted to Red Bull, and the team elected to overhaul their line-up by signing Carlos Sainz Jr. and Max Verstappen, who in 2015 became the youngest driver in Formula One history at just 17 years and 166 days old. Daniil Vyacheslavovich Kvyat is a Russian auto racing driver currently driving in Formula One for Scuderia Toro Rosso. He was runner-up at the 2012 Eurocup Formula Renault 2.0, and a champion in 2012 Formula Renault 2.0 Alps Series and 2013 GP3 Series. He made his debut in Formula One as a Toro Rosso driver in 2014 finishing 15th in the World Championship. He then moved on to Red Bull Racing to partner Daniel Ricciardo for the 2015 season. He scored his first Formula One podium finish at the 2015 Hungarian Grand Prix, finishing second behind Sebastian Vettel. In his first season with Red Bull Racing, Kvyat finished 7th in the Drivers' Championship, ahead of his teammate. He started the 2016 season with Red Bull Racing, scoring his second podium, finishing third at the 2016 Chinese Grand Prix. However, following the controversial collision during the opening lap of his home race in Sochi, Kvyat was demoted back to Toro Rosso ahead of the 2016 Spanish Grand Prix, where he finished the season and was retained by the team for the next one. Although consistently demonstrating solid qualifying performances in 2017, his season was plagued by various problems, including several retirements in races where he could have scored solid points. After the 2017 United States Grand Prix, where he scored his last F1 points up to date, Kvyat and Red Bull parted ways, effectively terminating his contract. 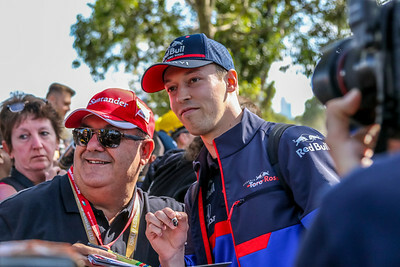 Kvyat spent 2018 as a development driver for Scuderia Ferrari, before being re-signed by Toro Rosso for the 2019 season. 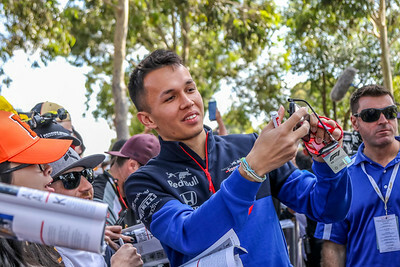 Alexander Albon is a Thai-British racing driver, currently driving in Formula One for Scuderia Toro Rosso. Albon started his career by racing karts at a very young age due to encouragement from his father, Nigel Albon. He enjoyed success in karting between 2006 and 2010 including titles at the 2006 Super 1 Honda National Championship (Cadet Class), 2009 Super 1 Honda National Championship (KF3 Class) and the 2010 European Championship (KF3 Class). After becoming part of the Red Bull Junior Team in 2012 he was promoted to open-wheel cars in the form of a seat with EPIC Racing during the Eurocup Formula Renault 2.0 2012 season, finishing 38th out of 49 in his debut year. He stayed in Formula Renault 2.0 for two more seasons having secured a seat with KTR, finishing 16th in 2013 and 3rd in 2014. In 2015 Albon switched to European Formula 3, finishing 7th overall. A year later, ART signed Albon to race alongside Charles Leclerc in the GP3 Series, finishing second in the drivers championship only to his teammate. Albon was given a seat once again by ART in 2017 to race in the FIA Formula 2 Championship where he finished his maiden year in 10th position. Williams Grand Prix Engineering Limited, currently racing in Formula One as ROKiT Williams Racing, is a British Formula One motor racing team and constructor. It was founded by team owner Sir Frank Williams and automotive engineer Sir Patrick Head, it is still run by Williams. The team was formed in 1977 after Frank Williams's two earlier unsuccessful F1 operations: Frank Williams Racing Cars (1969 to 1975) and Wolf–Williams Racing (1976). All of Williams F1 chassis are called "FW" then a number, the FW being the initials of team owner, Frank Williams. The team's first race was the 1977 Spanish Grand Prix, where the new team ran a March chassis for Patrick Nève. Williams started manufacturing its own cars the following year, and Switzerland's Clay Regazzoni won Williams's first race at the 1979 British Grand Prix. At the 1997 British Grand Prix, Canadian Jacques Villeneuve scored the team's 100th race victory, making Williams one of only three teams in Formula One, alongside Ferrari and fellow British team McLaren, to win 100 races. Williams won nine Constructors' Championships between 1980 and 1997. This stood as a record until Ferrari surpassed it in 2000. Drivers for Williams have included Australia's Alan Jones; Finland's Keke Rosberg; Britain's Nigel Mansell, Damon Hill and Jenson Button; France's Alain Prost; Brazil's Nelson Piquet and Ayrton Senna; and Canada's Jacques Villeneuve. Each of these drivers, with the exception of Senna and Button, have captured one Drivers' title with the team. Of those who have won the championship with Williams, only Jones, Rosberg and Villeneuve actually defended their title while still with the team. Piquet moved to Lotus after winning the 1987 championship, Mansell moved to the American-based Indy Cars after winning the 1992 championship, Prost retired from racing after his 4th World Championship in 1993, while Hill moved to Arrows after winning in 1996. No driver who has won a drivers' title with Williams has managed to win a title again. Williams have worked with many engine manufacturers, most successfully with Renault, winning five of their nine Constructors' titles with the French company. Along with Ferrari, McLaren, Benetton and Renault, Williams is one of a group of five teams that won every Constructors' Championship between 1979 and 2008 and every Drivers' Championship from 1984 to 2008. Williams F1 also has business interests beyond Formula One racing. Based in Grove, Oxfordshire, UK, Williams has established Williams Advanced Engineering and Williams Hybrid Power which take technology originally developed for Formula One and adapt it for commercial applications. In April 2014, Williams Hybrid Power were sold to GKN. Williams Advanced Engineering had a technology centre in Qatar until it was closed in 2014. They currently have Rokit as their title sponsor for the 2019 season. 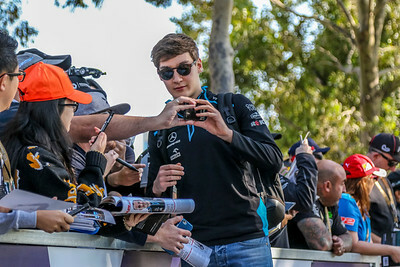 George Russell is a British racing driver currently competing in the 2019 Formula One World Championship for the Williams team. He is the reigning FIA Formula 2 Champion for ART and the 2017 GP3 Series Champion. Robert Józef Kubica is a Polish racing driver who is currently racing for the Williams F1 team. He became the first Polish driver to compete in Formula One. Between 2006 and 2009 he drove for the BMW Sauber F1 team, promoted from test driver to race driver during 2006. In June 2008, Kubica took his maiden Formula One victory in the Canadian Grand Prix, becoming the first Polish driver to win a Formula One race. That season he led the championship at one stage, before finishing fourth overall, his best career position. Kubica drove for Renault in 2010 and was set to remain with the team in 2011. Several years later Kubica confirmed he had signed a pre-contract for the 2012 season with Ferrari, a move that was eventually cancelled by his devastating rally crash in the winter of 2011. On 6 February 2011, Kubica was seriously injured in a crash at the Ronde di Andora rally, in which his right forearm was partially severed. He was taking part in the rally for personal enjoyment.Kubica told Italian newspaper La Gazzetta dello Sport in a bedside interview that he could feel the fingers in his right hand and was determined to make a swift return to Formula One in 2011. 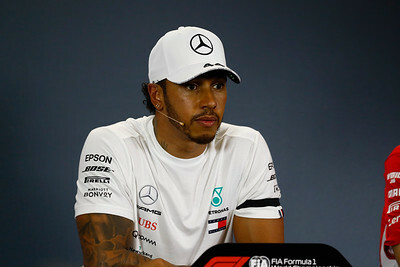 Since his return to good health, however, he initially stated that a return to Formula One would be "nearly impossible" because of his injury. Since then, he has taken part in tests with Renault and Williams, admitting that a Formula One return in the near future was not impossible. On 16 January 2018, it was announced that Kubica would become the reserve driver of Williams for the 2018 season. Kubica returned to racing in September 2012, winning a minor rally in Italy. Kubica was named one of "The Men of the Year 2012" by Top Gear magazine for his return to auto racing. In 2013, he drove for Citroën in the European and World Rally-2 Championships. He went on to win the inaugural WRC-2 title, and moved to the WRC championship full-time in 2014, driving a Ford Fiesta RS WRC prepared by M-Sport. 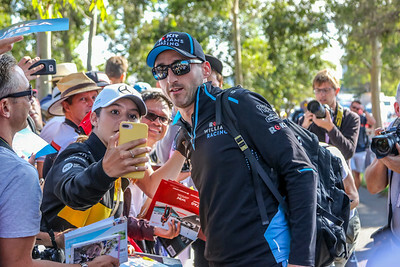 On 22 November 2018, Kubica was announced as a Williams race driver for the 2019 Formula One season. Renault are currently involved in Formula One as a constructor, under the name of Renault F1 Team. They have been associated with Formula One as both constructor and engine supplier for various periods since 1977. In 1977, the company entered Formula One as a constructor, introducing the turbo engine to Formula One in its first car, the Renault RS01. In 1983, Renault began supplying engines to other teams. Although the Renault team won races and competed for world titles, it withdrew at the end of 1985. Renault continued supplying engines to other teams until 1986, then again from 1989 to 1997 and at various other times since then until the present. Renault returned to Formula One in 2000 when it acquired the Enstone-based Benetton Formula team (formerly Toleman). In 2002 Renault re-branded the team as "Renault F1 Team" and started to use Renault as their constructor name, winning both the Drivers' and Constructors' Championships in 2005 and 2006. For the 2011 season the team competed under the name Lotus Renault GP but retained the Renault constructor name. In 2012, the team changed their constructor name to Lotus and operated as Lotus F1 Team until the end of 2015, when they returned to the control of Renault as a works manufacturer. For the 2019 season "Sport" was removed from the team's official title. Renault has also supplied engines to other teams, including Red Bull Racing (2007–2015) , Benetton Formula (1995–1997, 2001) and Williams (1989–1997, 2012–2013). In addition to its two own F1 World Constructors' Championships (2005, 2006) and two Drivers' Championships, as an engine supplier, Renault has contributed to nine other World Drivers' Championships. It has collected over 160 wins as engine supplier, ranking fourth in Formula One history. Nicolas Hülkenberg is a German professional racing driver currently racing for the Renault F1 Team. In 2015, he also contested two rounds of the 2015 FIA World Endurance Championship season for Porsche, winning the 2015 24 Hours of Le Mans in his first attempt. He was the 2009 champion of the GP2 Series, and is a previous champion of both the Formula 3 Euro Series and A1 Grand Prix, as part of A1 Team Germany. He is one of 5 drivers since 2005 to win the Formula 2 (formerly GP2 series) championship in his debut season, the others being Lewis Hamilton, Nico Rosberg, Charles Leclerc and George Russell. 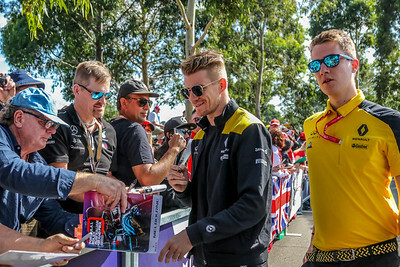 As of February 2019, Hülkenberg holds the record for the most Formula One career starts without a podium finish, a record he broke when he failed to finish in his 129th race (the 2017 Singapore Grand Prix) and in so doing passed Adrian Sutil's previous record of 128. Hülkenberg raced in Formula One in 2010 with the Williams team. Despite winning the first pole position for Williams in more than five years, he was not retained for 2011 and joined Force India as a test and reserve driver. He was promoted to a race seat with the team for the 2012 season, joining Paul di Resta.In 2013 he drove for the Sauber team, with Mexican driver Esteban Gutiérrez as his teammate.Hülkenberg returned to Force India for the 2014 season. In October 2016, it was confirmed that he would switch to Renault for 2017.